Do You Have a Disc Bulge or Herniation? Click Here For A FREE Video On Our 3-Step Process. Looking for Relief from Your Neck and Back Pain? With our more than 10 years of experience, Dr. Dave Tharp II and Dr. Brad Guindon provide 5-star chiropractic care in Marion, Ohio. We treat your pain with chiropractic care, non-surgical spinal decompression, physical therapy exercises, cold laser therapy, and more. Fix your problem right here in Marion. 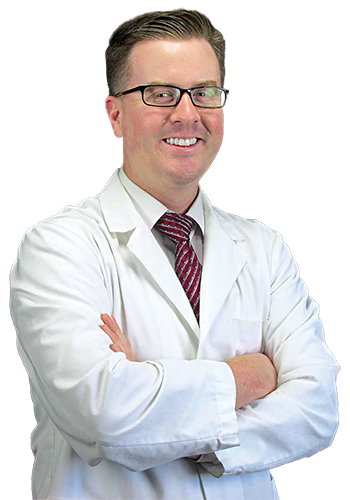 The Ohio Neck & Back Pain Relief Center was started in 2004 by Dr Dave Tharp II to become the best clinic in central Ohio treating symptoms like back pain, neck pain, sciatica (leg pain), headaches, and more. Our clinic has delivered over 100,000 treatments, helping thousands of patients with headaches, back pain, neck pain, sciatica, and disc herniation. The Ohio Neck & Back Pain Relief Center has been awarded the “Five Star Quality Award” for their Chiropractic Services by Integrity Doctors. Praised for being compassionate life-savers, they use the latest technology available to deliver the highest quality back and neck pain relief. With their award-winning services, it comes as no surprise that patients refer to the office as a “Sanctuary of Relief”. “Being pain free is an absolute God-send!” Timothy Sutton could only stand for 1 to 2 hours, could not put his socks on in the morning, and could not perform simple chores around the house. “There was a day that I thought that surgery was my only option. Thank God I tried Spinal Decompression! Now I can keep my job because I am able to stand for 12 hours, I can put my socks on by myself, and I can finally help my wife around the house! I no longer feel like a broken down man when I get home from work, my quality of life is MUCH better, and I have been given a new lease on life!